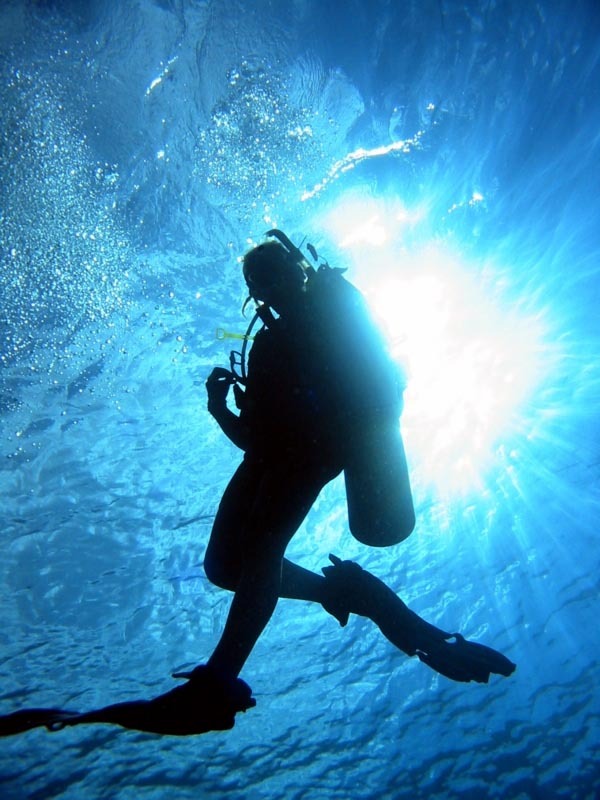 Don’t delay… learn to dive! Most of your classroom is done at home on line. We offer classes to meet just about any schedule. Our standard class takes 2 weeks, attending Mon, Tues, & Thurs nights of both weeks. The second weekend you’ll spend about a half a day Sat. & half Sun. on the lake at ourLake Ouachita Dive Center location. Cost for this class is $245.00. We’ll supply everything but your (Mask, Fins, Boots, Snorkel, Weights & Belt ). Don’t be fooled by come on rates elsewhere that will have a lot of add on’s. You must preregister at least one week in advance. In order to register and hold your spot you must sign a privacy notice/waiver (a parent must also sign if under 18 years old), give us your mailing address, your email address, phone number, date of birth, look at a medical history form to be sure you will not be required to get a physicians consent and place a $100.00 deposit ( which is non refundable–make sure you do not need a physician approval, before you place your deposit). For those who cannot work the weekdays in, we offer a 3day certification. You Must preregister at least one week in advance. We’ll meet at our in town ” Scuba and Archery ” Location on Friday at 6:00pm and work up till 11:00p.m. in a classroom session. We’ll meet there again the next morning at 8:00am to begin pool training. Once all pool training is complete we’ll head to the lake Saturday afternoon at our Lake Ouachita Dive Center Location. We’ll meet at the lake again Sunday morning at 9:00 am and continue until finished ( Usually mid day ). As you can imagine this is a little tougher on you physically, but can still be managed by most. Cost for this certification is $295.00. Orientation to Snorkeling, Snorkeling Course, Try Scuba Pool, Scuba Diver Indoor, Diver Open Water, Diver Scuba Skills Update, Advanced Adventurer Specialty Diver , Advanced Open Water Diver, Master Diver, Specialty Boat Diving, Specialty Computer Diving, Specialty Deep Diving, Specialty Digital UW Photography, Specialty Dry Suit Diving, Specialty Equipment Techniques, Specialty Navigation, Specialty Night Diving and Limited Visibility Specialty, Perfect Buoyancy Specialty, Search & Recovery, Specialty Snorkeling, Specialty Spearfishing, Specialty Stress&Rescue, Specialty Underwater Photography, Specialty Waves, Tides & Currents, Dive Guide, Dive Master and Assistant Instructor.